There was a wonderful place, which seemed like a piece of Paradise: the country boasts both natural beauty and diverse landscapes, from fields of wild flowers, to forests, mountains, sand dunes and crystal clear waters. South Africa was and still is its name. White men transformed this natural paradise into something very near to the Hell, killing natives or destroying their lives. Why? Because of colonization taught them it was necessary, right. Whites are in charge, Blacks have just to obey: History has always told us this. Supposing you are a retired teacher, your people are the Whites, the Afrikaners, those who had created the system called Apartheid. Supposing you are dying due to cancer and your only daughter has migrated to Usa (she can’t stand this normal situation called Apartheid). Supposing you are starting to reconsider your whole believes, life and mental structures which had controlled your life… but you do not have enough time… what can you do to change your things? An unbelievable friendship can change people’s mind? How can prejudices rooted in ours mind? How can you stop wasting your time if it is not unlimited? 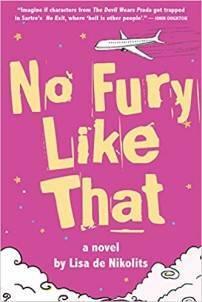 These and many others are the questions that inspired Elizabeth Curren for writing a letter to her daughter, trying to understand how people could hurt other people for a piece of earth or because the History had always been written by winners and winners had always remembered what they liked more. 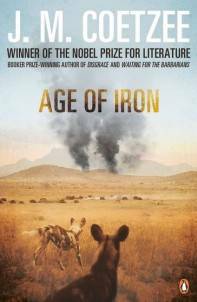 J. M. Coetzee, Nobel Prize in Literature in 2003, wrote “Age of Iron” in 1990 while the Apartheid lasted till 1994. 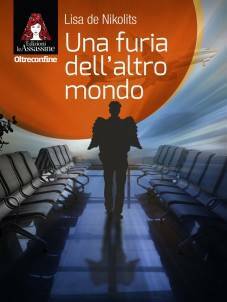 His novel was a critique and a denounce for a system which allowed crimes against humanity, four years before its end. Often writers feel the urgency to interpret the big mistakes and horrors of their times and their novels must be read as a warning for all the people. This is a good reason not to stop reading! Joseph Conrad was a multifaceted man: he was a sailor and, with the same passion he loved the sea, he was a writer.. How could a man, who was Polish and learnt English as adult, write so fluently and with this variety of words? This is one of the most fascinating feature of this novel, along with its characters. Marlow, who was later considered as Conrad’s alter ego, was the main character of the novel which is considered as the forerunner of the MODERNISM. “Heart of Darkness” has a matrioska frame: the reader has different degrees of narration, so he can perceive the plot from different point of views. Few physical descriptions leave the place to a sort of psychological journey. The journey which was told by Marlow to some friends of him during a common chat in a late Victorian afternoon in a yatch on river Thames. 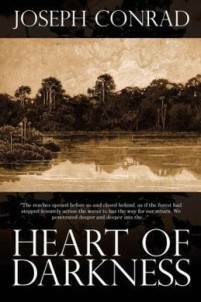 Marlow described his juvenile journey in the “heart of darkness” (Congo) when he worked as captain of a steamer for an Belgian Company. He started his journey in search of adventure: he was excited to visit Africa, he left London and then Brussels, the city in which the Company had its headquarters, feeling the imperialistic spirit of his time. The journey, described with huge amount of symbols which connected Marlow to the darkness nature of the environment but also of himself, changed him a lot. The meeting with Mr. Kurtz modified the way in which Marlow had perceived Imperialism since then: Kurtz represented the evil side of each man, destroyed by the desire of power. The description of the forest and the river in Congo was gloomy and gothic sometimes, following Marlow’s feeling. The frame, very similar to Mary Shelley’s “Frankenstein” but also to Coleridge’s “The Rime of the Ancient Mariner” let the reader able to understand the common features between three works so different in their genre. As Coleridge’s mariner and Shelley’s Captain Walton, Marlow had his duty too: he had to tell the dangers of losing our soul in search of power and richness, he had to speak about the real face of Imperialism and the risk to become inhuman as if it was normal. This could be a key for reading the novel as a critique to European colonialism. If you are more interested in psychology, “Heart of Darkness” is full of Freud’s theories about Ego, Superego and Id (that could be compared to each station . outer station, central station and inner station) Marlow met during his travel along the river. If you consider “Heart of Darkness” just a “book for students” you’re making a mistake: this novel is much more than this… let us consider that Francis Ford Coppola’s “Apocalypse Now” was inspired by this great Conrad’s masterpiece! Don’t waste your time… and enjoy your reading!